POSbistro has earned the prestigious 2017 Rising Star and 2017 Great User Experience awards from FinancesOnline, a popular B2B software review platform. – Main functionality – which rates the software’s ability to meet its main promise. – Collaboration features – which rates the software’s functionalities that allow team members to work together. – Customization – rating the software’s customization tools that allow the business to match the software’s functions to the business’ specific processes and current needs. Tools to watch include custom reports; custom fields; custom business processes; logo insertions; and color palette choice. – Integration – rating the ability of the software to assimilate third-party applications and formats. – Ease-of-use – rating how easy it is to learn to use the software. – General Impression – this component reflects the subjective impression of the author based on their research and analysis. – Help & support – rating the level of customer support offered by a software vendor. – Security – which rates the level of software’s security infrastructure. – Mobility – rating the software’s mobility, that is if the software has a mobile platform and which mobile OS it supports. 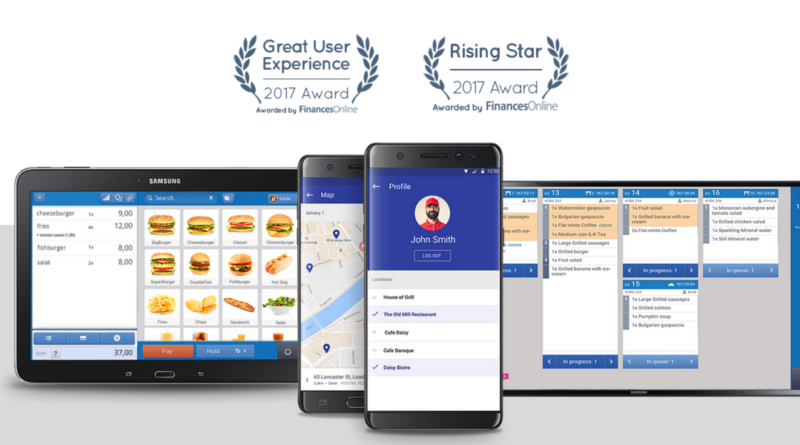 POSbistro team would like to thank FinancesOnline for this recognition, which reinforces our efforts to provide the best end-to-end restaurant management platform at competitive rates, and with the best user experience on the market. Please visit FinancesOnline.com to post your own review of POSbistro, and by this mean help us keep improving our software and services.